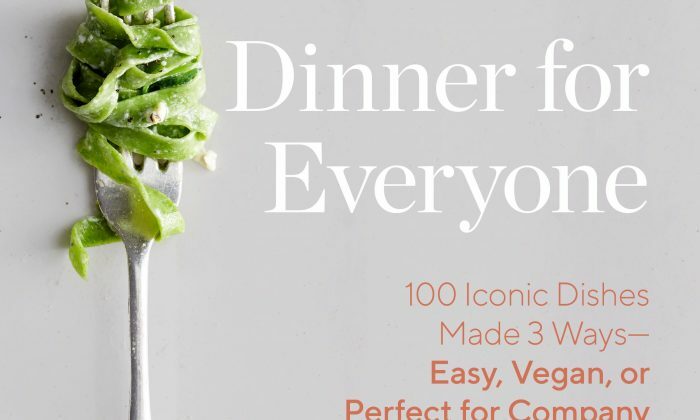 "Dinner for Everyone: 100 Iconic Dishes Made 3 Ways—Easy, Vegan, or Perfect for Company" by Mark Bittman ($40). What’s for dinner? Depends—but Mark Bittman’s new cookbook covers just about all the bases. A busy weeknight might call for an onion soup that gets fast flavor from Old Bay, or a 30-minute approximation of pho made with tea bags and five-spice powder. On leisurely weekends, you might be more inclined to break out the oxtail bones and toasted whole spices for the real-deal three-hour simmer. You’ll find recipes for both ends of the spectrum in Bittman’s “Dinner for Everyone,” the latest from the acclaimed food writer and author of the award-winning “How to Cook Everything” series. The cookbook takes 100 iconic dishes—from macaroni and cheese to moussaka, pasta with seafood to rice and beans—and offers three interpretations of each: easy, vegan, and all-out. “Easy” versions celebrate shortcuts that simplify, distilling complicated classics into weeknight possibilities. They get dinner on the table on the nights when you need it, fast. “Vegan” renditions are creative and accessible, accommodating—and encouraging—the consumption of more plant-based diets.